We’re fortunate to be a part of this precedent-setting interactive art space in the Siler Road District. Thanks to Autotroph, Anchor Engineering, Constructive Assets and the Meow Wolf team for a fantastic design development process. Implementation is well underway…looking forward to the grand opening in mid-March! 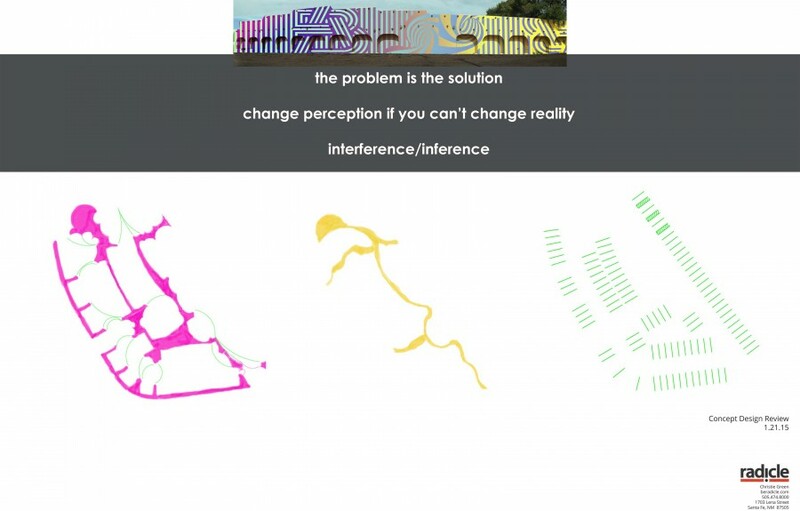 Conceptual sketches exploring possible scenarios for interactive outdoor space so that the exhibits and opportunities to participate begin right away – in the parking lot! This was the preferred landscape concept. 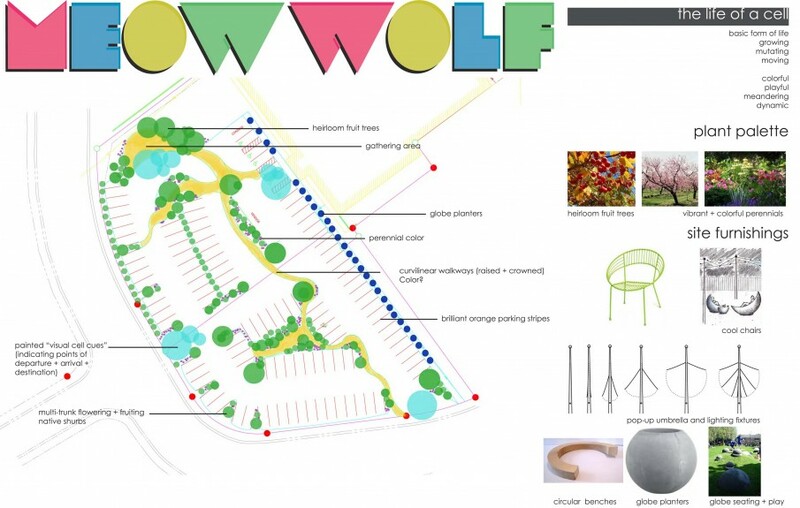 Including playful colorized parking lot features, fun seating areas, “pluckable” fruit in parking lot heirloom orchard and fun, mobile site furnishings. Come check it out! Implementation is underway!